Year: 1950 Item #: 411 Views: 3,572 Comments: No Comments. A Glass of Sherry? 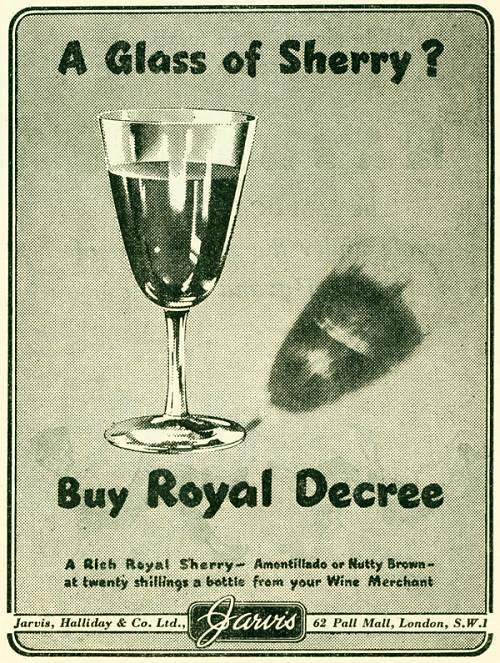 Buy Royal Decree. A Rich Royal Sherry - Amontillado or Nutty Brown - at twenty shillings a bottle from your Wine Merchant.